This performance is part of the Krannert Center Youth Series, school-day performances for public, private, and home schools, grades PreK-12. Yao is a mischievous little girl who delights in time spent with her father. But she’s disappointed every morning when her dad must don his suit and briefcase and head to work. One ordinary morning, Yao grabs onto his overcoat and accidentally pulls a thread that leads to a charming adventure. 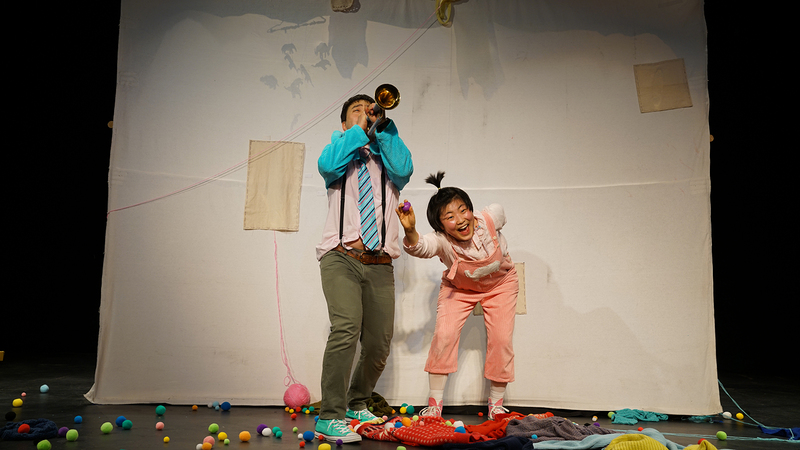 Through this spirited blend of reality and fantasy that incorporates shadowplay, pantomime, live music, and digital media, audiences of all ages will go on a journey with this endearing Seoul-based theatre troupe to see where the thread ends! Connects to Illinois Learning Standards in Fine Arts, Social/Emotional Learning. With deep gratitude, Krannert Center thanks all Patron Sponsors and Corporate and Community Sponsors. If you believe in the life-affirming experiences that Krannert Center and the performing arts at Illinois make possible, please make a gift: development@krannertcenter.illinois.edu, KrannertCenter.com/Give, or faa.illinois.edu/giving.